1 Light Wall Sconce In Brushed Nickel This elegant wall sconce features a smooth flowing design with metalwork finished in brushed nickel and a beautiful white glass shade. 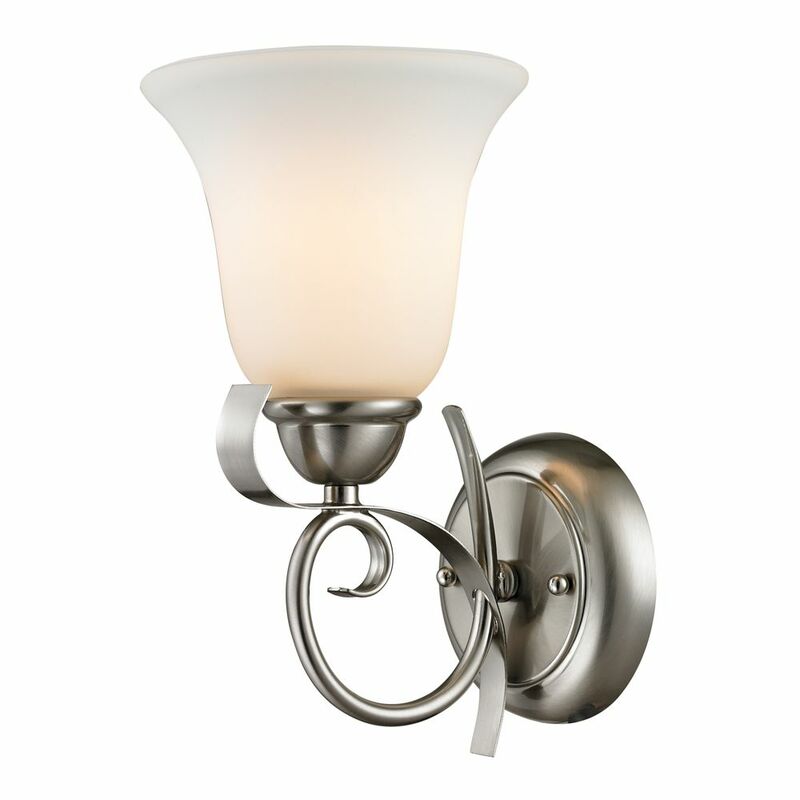 1 Light Wall Sconce In Brushed Nickel is rated 4.0 out of 5 by 1. Rated 4 out of 5 by Jaymg from I really enjoy my sconces. I got them for my bedroom. Good quality. They look and work great with... I really enjoy my sconces. I got them for my bedroom. Good quality. They look and work great with a dimmer. One of my boxes came without the hardware. I called and they were very responsive and sent me the hardware within a week.